Changing Pathways funds a dedicated Children and Young People’s School Outreach Team to visit local primary schools, secondary schools and out of school facilities as ‘The Anti-Bullying Crew’ delivering workshops to school age children. 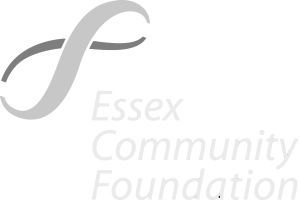 Changing Pathways (formerly known as Basildon Women’s Aid) funds a dedicated Children and Young People’s School Outreach Team to visit local primary schools, secondary schools and out of school facilities as ‘The Anti-Bullying Crew’ delivering workshops to school age children. The current school team have been providing workshops to thousands of children and young people over the past 10 years, and we continue to grow and evolve these sessions to suit an ever-changing world and in response to legislative progress in the domestic abuse/interpersonal violence sector. The Anti-Bullying sessions are based around the children and young people becoming Special Agents who are on a ‘Mission Possible’ to find out how to put a stop to bullying. They are a fun and enjoyable way to deliver and reinforce anti-bullying messages and to teach coping strategies to the children. Our facilitators within the team are also involved Crucial Crew in which local services deliver sessions with important safety messages to Year 6 pupils as part of their transition to Secondary School. The team deliver a session on ‘Healthy Relationships’ at Crucial Crew every year to explore and show the signs that can mean a relationship is unhealthy. The session involves role-play demonstrating healthy relationships, and the differences between when a relationship is hard work or annoying sometimes (but still healthy), to how an unhealthy relationship can include controlling, jealous behaviour, abuse and/or violence. The sessions empower the children to understand the rules of respect and that we all have the right to be safe and happy. If they are in a relationship where someone is making them feel bad over and over again or all of the time then we urge them to make it ‘stop’ by remembering the rule ‘Start Telling Other People’. The team also works in a matrix way with the rest of our organisation’s services to ensure that if any children or their families are identified as in need of on-going support, they will receive this from the appropriate service team.